Now our team can provide the factory unlock code for all Huawei devices, including V4, V5, and phones. Means, if your device is asking for unlock code and attempts are left to enter the code, then it can be unlocked without changing the firmware. There are some special services also, in which you will get only NCK / SIMLock Unlock Code. Previous articleHow to unlock LG GU285g? Next articleHow to unlock Amazon Kindle Fire HD? My Huawei E5372-1534 has been permanently locked, could you please inform me, how it has be unlocked? Am looking for an unlock code of my HW-02G locked to NTT Docomo. This router seems to be based on E5383s-327. It is possible, but before placing the order, change the sim, login to the device and check option for simlock. Also attempts should be left to enter the code then only place the order. Connected to my Android phone via WiFi, Huawei HiLink shows after log-in a window to put a code for SIM unlock and says attemps left 10 times. This worked perfectly with V3 unlock code. Will this do with V4 unlock code? According to my knowledge, it is V4 device. If V3 is working then let me know, I will change the link. Sorry, I meant it was another router HW-01F that worked with V3 unlock code which can be generated from IMEI. HW-02G is a newer V4 device available since Feb.2015 in Japan and V3 unlock code didn’t work, that’s why I’m seeking an unlock code taken directly from Huawei server. If you can manage to provide me with it, then I’m ready to pay for that. Yes, it can be provided, you can place the order, code will be delivered within a week. My Huawei b618s-22d had been simlock. Is it possible to get 16digit simlock code? Yes, the device should prompt for simlock and attempts should be left to enter the code, then you can place the order. This method work with Italy h3g TRE operator? Yes, device should prompt for simlock and attempts should be left to enter the code. Hi, I need to urgently unlock my Huawei e5787s from Zain Kuwait. Any way? and place the order accordingly. 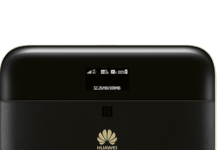 Hi there, could you unlock my Huawei 4G router B311? If the device prompts for simlock and attempts are left to enter the code then it will be unlocked. Hello need to know if can unlock HUAWEI EE575s-210 thanks. Yes, it can be unlocked, you can place the order in Huawei Factory Code service. hello , which site can unlock simlock with model b618-22d? You can place the order in above service if the device prompts for simlock. can let me know the which 1 is for huawei b618-22d simlock model? for china sim locked B315-936. is it USD39 or do you have a cheaper option? It is 29USD, but is not static yet, so better wait. Expecting when to resume unlocking service for huawei E5788u? Kamlesh Kumar, I have paid and waiting for SIMLOCK Code for my Huawei B618s 22d (Zain Network in Kuwait). Can let me know which one is for B315s-938? Thank you. It is locked to which country and network. Good morning Tech, please I would like to unlock my huawei E5578s-932 and how can I get the unlock code. You can place the order from the appropriate service. 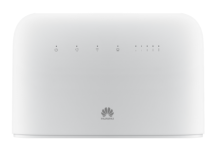 I am from Sri Lanka and my Huawei router (B310s-925) is purchased from a specific carrier so it’s locked to it. I want to know if it can be unlocked for all carriers without changing the firmware. Any info regarding the charges will be helpful. We are only responsible for correct unlock code, if the device prompts for simlock and attempts are left to enter the code then it will be unlocked. It will cost 60USD at present. Code will be 100% working. Rest check before placing the order, device should prompt for code and attempts should be left to enter the code. unlocking of mobinnet (Iran) b612 modem is free or not? how much?